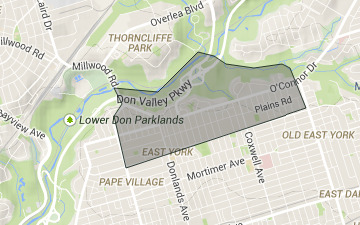 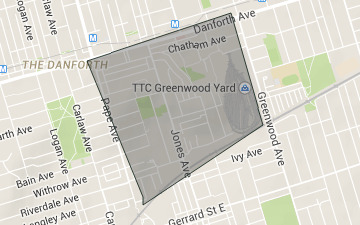 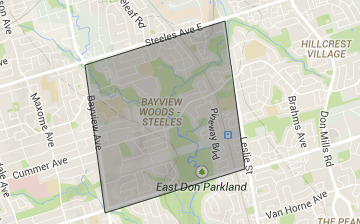 Parkwoods-Donalda is located in the city of Toronto, a geographically large neighbourhood located just south of Ontario Highway 401, West of Victoria Park Avenue, North of Lawrence Avenue East and east of the Don Valley Parkway. 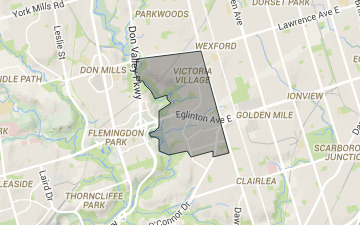 Victoria Village, sometimes referred to as Sloane (after the main street within the area), is a neighbourhood in the city of Toronto, Ontario, Canada bounded on the west by the Don Valley, on the north by Lawrence Avenue East, on the east by Victoria Park Avenue, and on the south by Eglinton Avenue East, although there is a small area south of Eglinton to Sunrise Avenue that is sometimes included. 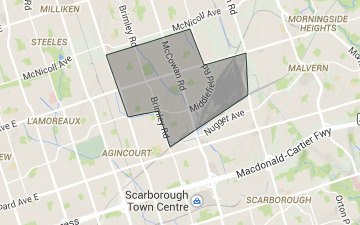 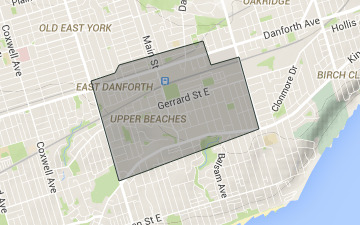 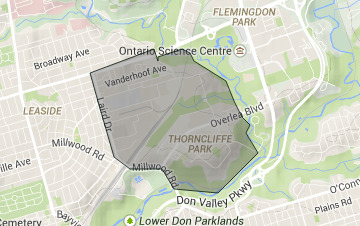 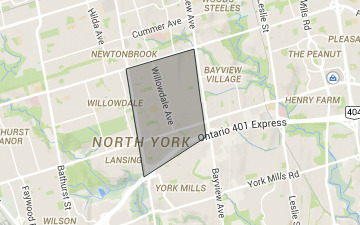 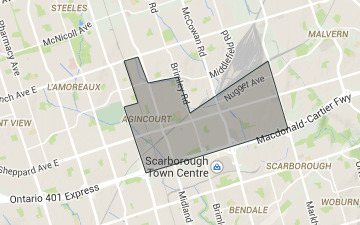 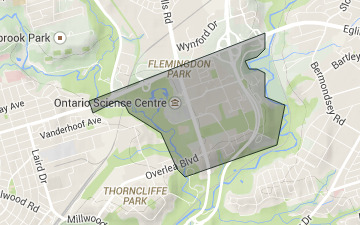 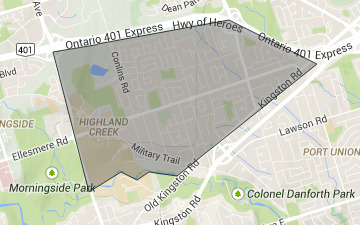 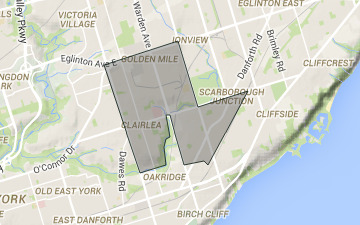 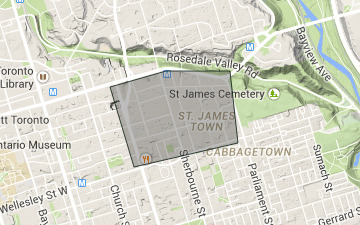 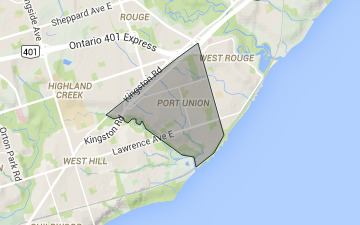 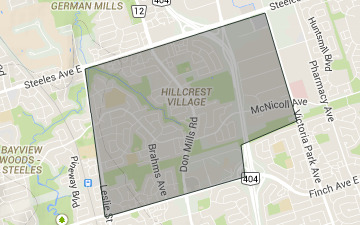 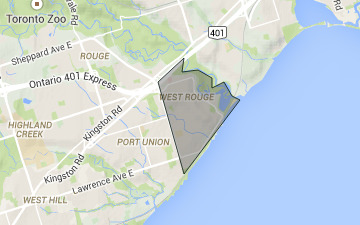 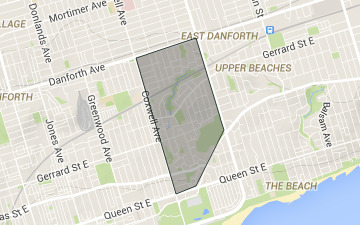 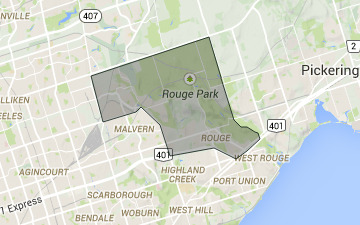 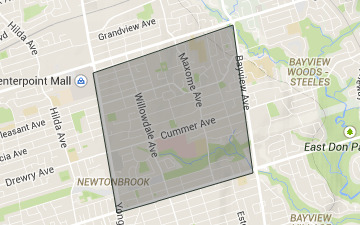 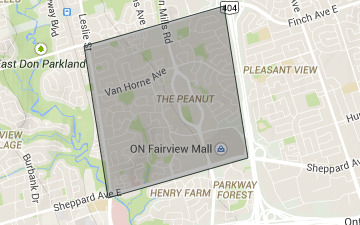 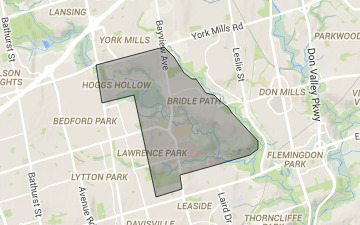 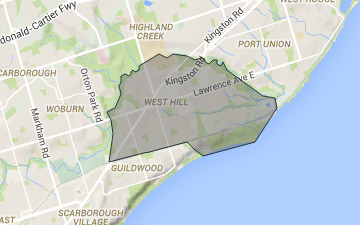 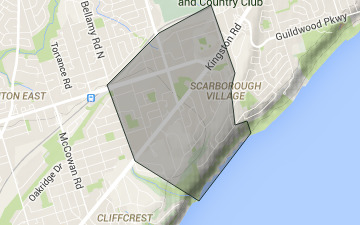 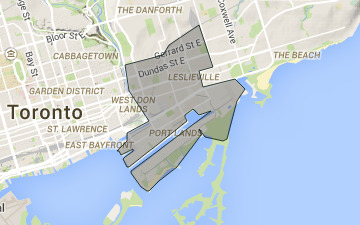 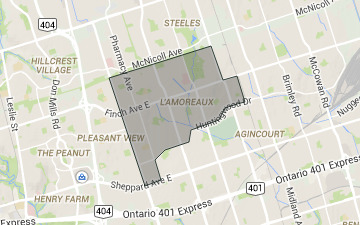 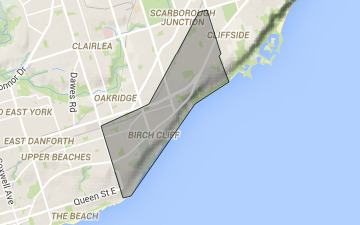 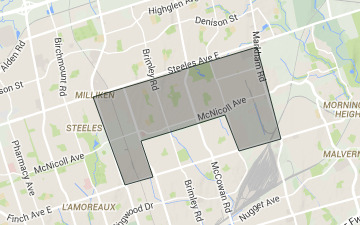 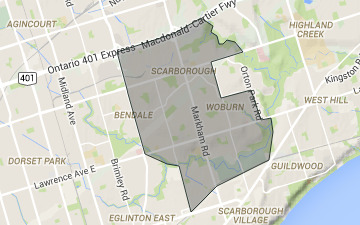 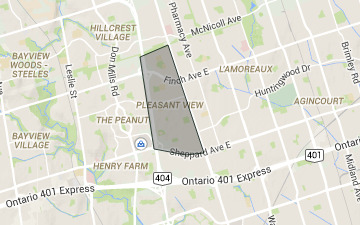 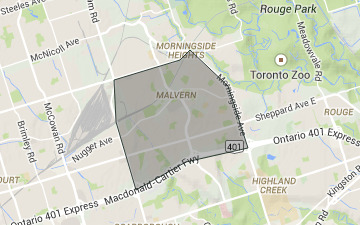 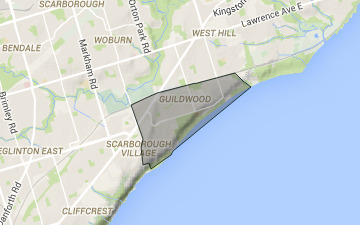 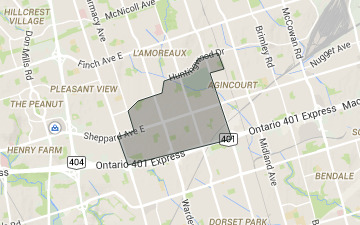 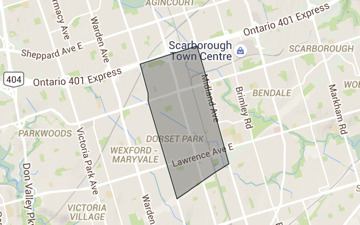 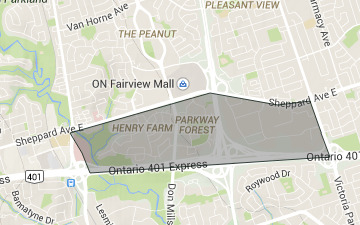 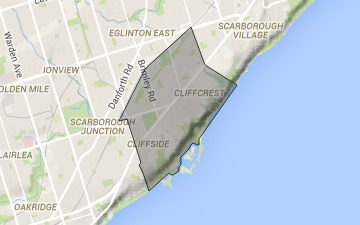 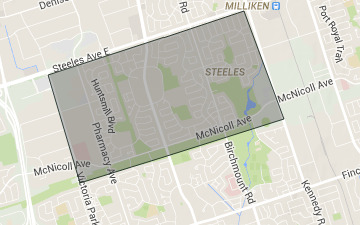 It is located in the southeast of the North York district. 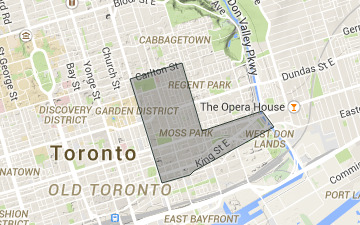 Its population is diverse in ancestral backgrounds with a larger proportion of South Americans than most of the city. 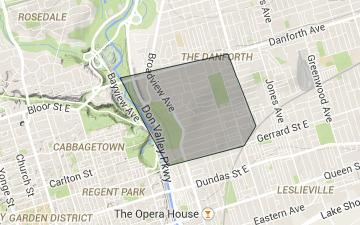 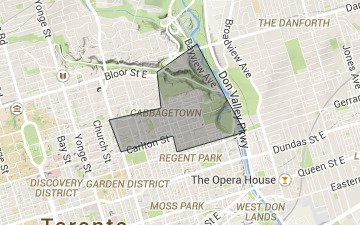 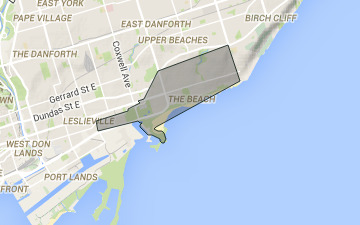 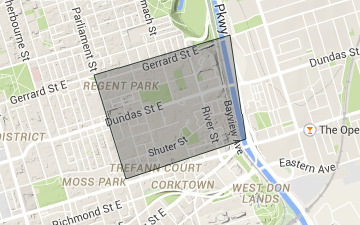 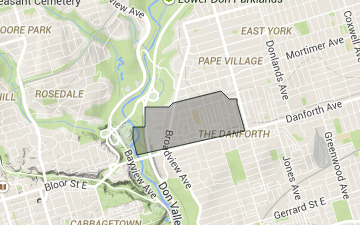 It is separated by the Don River from the former City of Toronto. 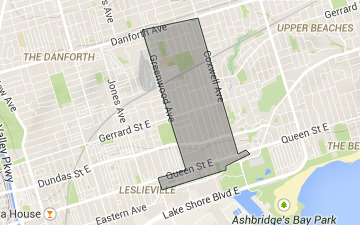 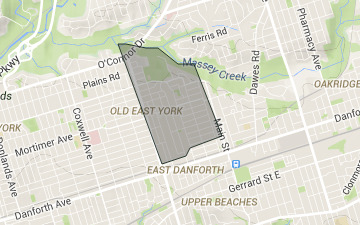 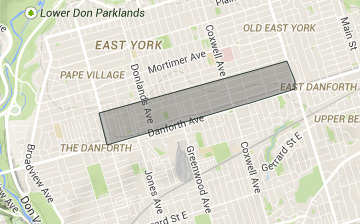 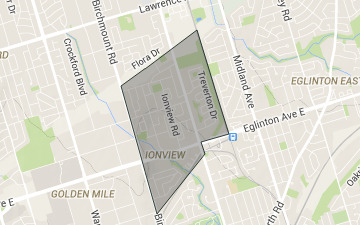 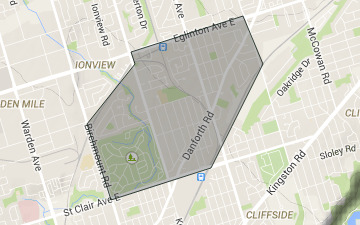 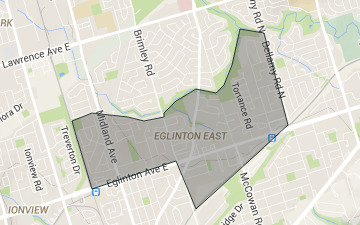 Traditional East York is southeast of the river, and the neighbourhoods of Leaside, Bennington Heights and densely populated Thorncliffe Park are northwest of the river. 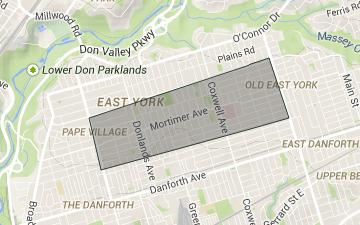 The heart of East York is filled with middle-class and working-class homes, with extensive high-rise developments along peripheral major streets and in Crescent Town and Thorncliffe Park. 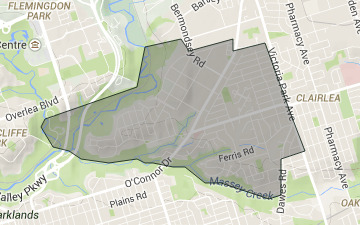 Dorset Park is located east of the central core, in the former suburb of Scarborough.